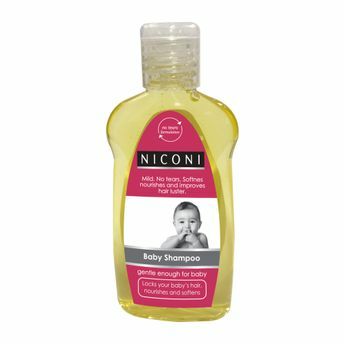 As gentle to the eyes as water, Niconi baby shampoo is clinically proven as mild and hence, is extremely safe for your baby. It will leave your baby’s hair fresh and shiny. Enriched with soft moisturising ingredients, it will leave your baby's hair soft and clean. This shampoo gently cleanses the hair and scalp, while helping prevent irritation, redness and stinging of the eyes. It is one of the safest baby shampoos available. Explore the entire range of Bath Time available on Nykaa. Shop more Niconi products here.You can browse through the complete world of Niconi Bath Time .